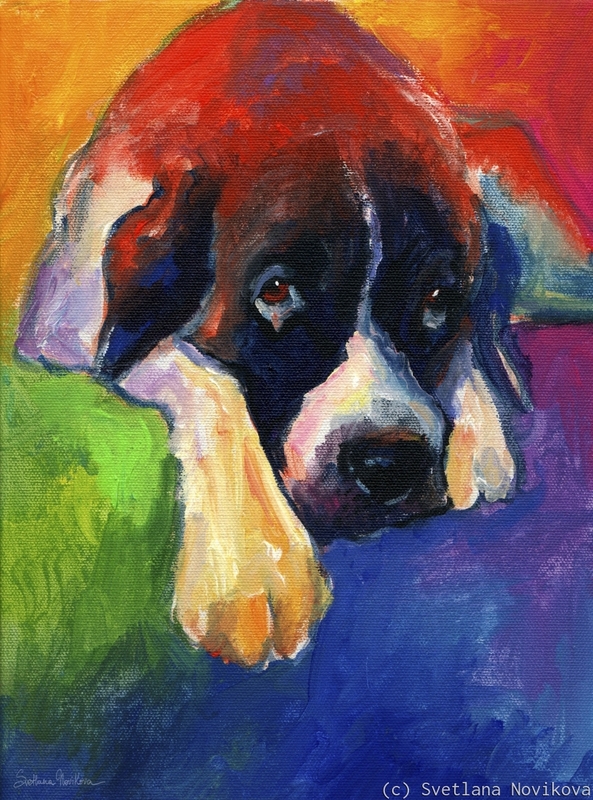 Colorful Saint Bernard dog portrait painting. Original is sold, I am available for commissioned portraits, please contact for information. 6.75" x 5"12.125" x 9"17.5" x 13"22.875" x 17"28.375" x 21"30.375" x 22.5"